Post-traumatic stress disorder (PTSD) is a serious battle injury we wanted to know more about, so we found Dr. Nicholas Lind, Co-Owner of Post Trauma Resources (Columbia, SC). In this multi-part series, Dr. Lind defines PTSD, explains the symptoms, shares how and when to seek help, and offers insight into living with someone who struggles from post-traumatic stress. 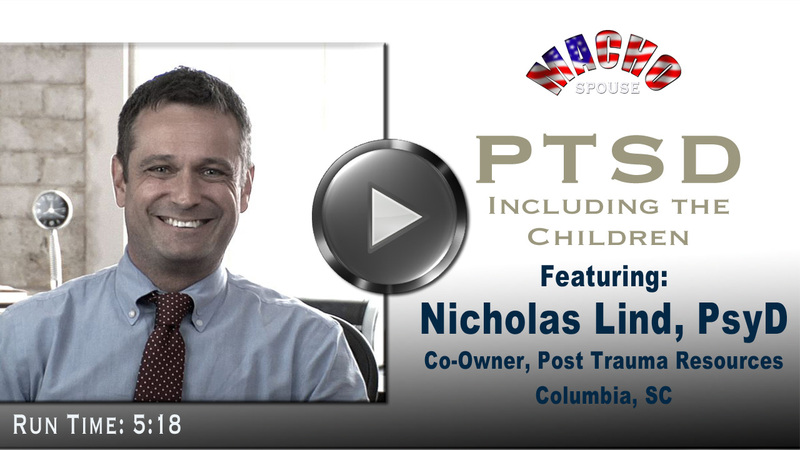 In this fifth segment, Dr. Lind discusses the importance of including one's own children in the healing process. Depending on the symptoms, children can learn valuable life lessons from watching, monitoring, and even participating in PTS rehabilitation.